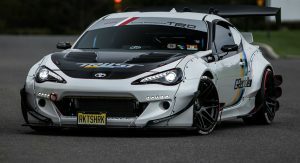 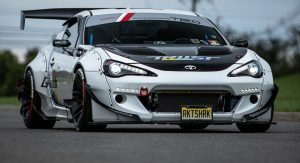 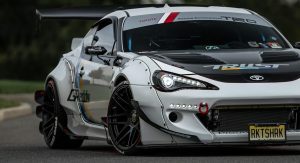 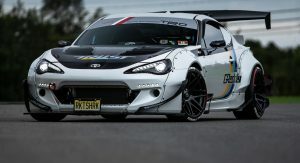 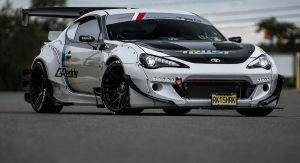 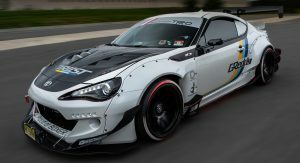 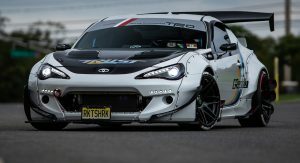 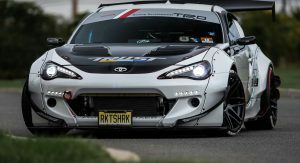 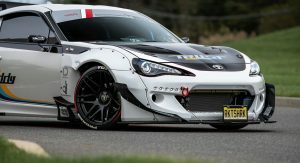 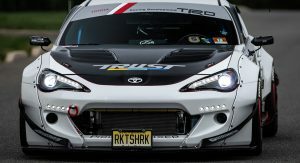 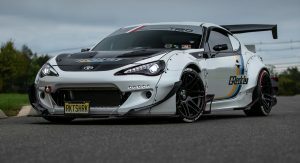 From the moment the Toyota 86 launched in 2012, it has been a favorite among tuning companies to modify and outfit with crazy bodykits and wild wings. 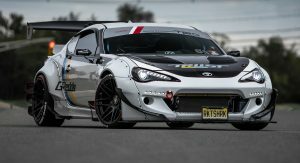 The following 86, recently created by Forgestar Wheels, is one of the craziest we’ve ever seen. 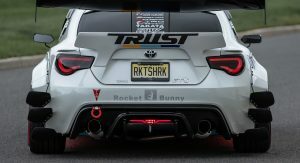 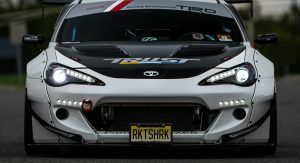 The first thing you’ll notice about this 86 is that it has been outfitted with an aftermarket bodykit from Rocket Bunny, a company with lots of experience transforming vehicle’s like the 86 and Nissan GT-R. 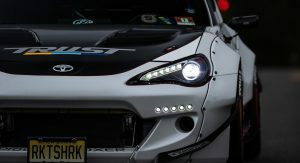 The kit includes an overhauled front fascia where new LED daytime running lights immediately catch the eye. 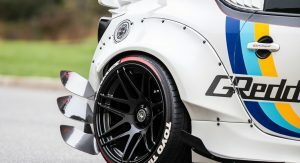 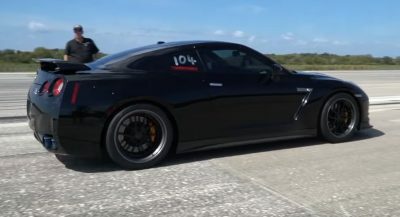 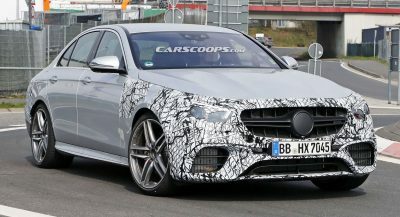 Additionally, there are flared wheel arches at all four corners as well as a sharp front splitter and canards that could probably slice a pedestrian’s feet off. 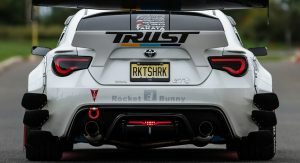 As wild as the front of the car is, it is the rear that is even more ridiculous. 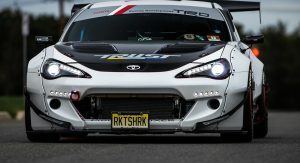 You’ll either love or hate this Toyota 86. 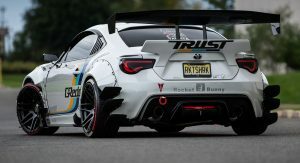 For starters, there’s a rear wing so over-the-top that it wouldn’t be out of place on a dedicated time attack race car. 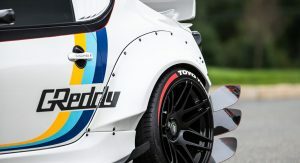 To makes things even more extreme, there’s a large bootlid lip spoiler that protrudes up from the decklid. 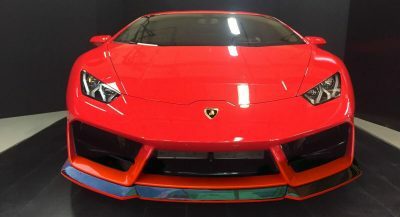 Cast your eyes further down the rear fascia and you’ll find no less than three extreme aerodynamic fins on either side. 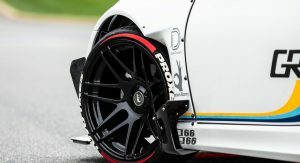 We’re not convinced of how functional they are but they certainly look the part. 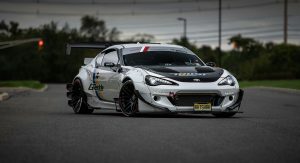 Some of the other aftermarket parts that set apart this 86 from all others are extended side skirts, bespoke black wheels, and a menacing hood. 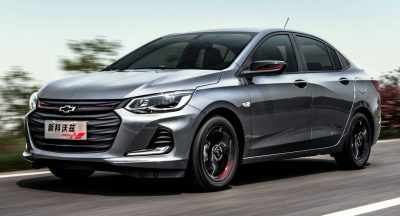 We’re unsure if the car has undergone any mechanical modifications but it would be a shame if it looked like this and still only had a 2.0-liter four-cylinder with 197 hp.